﻿I like to point out the flaws in others, so I don't have to notice the flaws in myself. ​I'll let Chip, the main character tell you more: "I found the journal at work. Well, I don't know if you'd call it work, but that's where I found it. It's the lost journal of Nikola Tesla, one of the greatest inventors and visionaries ever. Before he died in 1943, he kept a notebook filled with spectacular claims and outrageous plans. One of these plans was for an "Interdimensional Transfer Apparatus" - that allowed someone (in this case me and my friend Pete) to travel to other versions of the infinite possibilities around us. Crazy, right? But that's just where the crazy starts." CHIP'S OFFICIAL DISCLAIMER: This is a work of fiction: the events depicted in the collection of emails did not happen. I have never been in contact with a covert government group attempting to suppress knowledge of the lost journal of Nikola Tesla. I have not been threatened with death if I divulge the secrets contained inside. They did not buy me this handsome jacket (oh crap, you're reading this - trust me, it looks great on me). They did not come to my place, and liquor me up, and offer to publish this book as a sci-fi comedy novel to throw the public off the trail of the real truth. I'm kidding. Of course they didn't. God, I can't keep my big mouth shut. Where the Hell is Tesla? 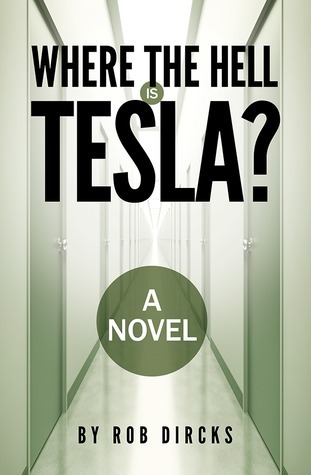 by Rob Dircks is well titled, since the tone of the book is just about exactly what you might expect from a book called "Where the Hell is Tesla?". This is a shorter book I picked up at audible (Appx 5 hrs of audio), for around two bucks. I like to think of the style as "A serious science fiction story that was interrupted by a few idiots that only kinda knew what they were doing", with the idiots of course being the main characters. I can get pretty touchy with my Sci-Fi pseudo-science, but the lack of credibility the science had in this book didn't really bother me. I think it struck the same chord that I would expect from a comic book, or something of the kind. Basically, because it succeeds in being fun, I found it easy to overlook the confusion some of the scenarios introduced. The fun in the story comes from a few areas. The first is the characters complete lack of ability to understand the complex ideas they were interacting with, but solid determination to tamper with those ideas as much as possible, leading to lots of fun but short adventures. The second bit of fun is the simple fact that the story involves hunting down Nikola Tesla through a vast array of alternate dimensions. The last reason is the middle of the story, where you can tell the author is just having some crazy fun with some of the possibilities he's opened up. The main problems I had with the story came as a side effect of some of the premise. In many cases, the characters seem so unaware of how their actions will affect anything, that it's a bit hard to get invested into what they're doing. Also, the story is told entirely in sometimes brief emails sent to the main character's absent love interest, so the writing style comes off a bit odd. Sometimes this style works to the book's benefit (sounding like a crazy story one of your friends told you after a few drinks), and sometimes it's jarring next to what's going on at the time. ​Where the Hell is Tesla? 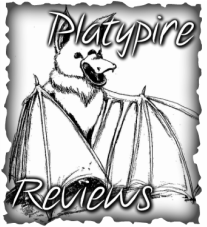 by Rob Dircks is also narrarated by Rob Dircks. Normally I get apprehensive about authors narrarating their own work, worried that I'll be bothered by an unprofessional voice actor giving voice to the book, but in this case I think it plays to the book's benefit. The whole thing comes off like a crazy story a friend is rambling off to you late one night, so the more casual tone works well. The voice acting has the same benefits and drawbacks as the overall style of the book, but it fits so well, I'd give the audio of the book a solid 4 stars. The Fold by Peter Clines is an interesting and suspenseful read following the life of Mike Erikson as he is called upon to investigate a new scientific project going on in the california desert. The book has several things working for it, but to my mind it played mostly as a mystery thriller with a light science fiction background. To make a comparison, I liked this book for almost completely opposite reasons than I liked The Thought Readers. That book I liked for the mechanics of the world, but found the overall plot a bit lacking. This book seems very much about the plot, which is handled well, but mostly falls apart to me when I spend time thinking about the mechanics of the world. To talk about the overall story first (spoiler free, don't worry), I have a few points to make against and in favor of this book. It sells itself largely on some twists in the second half of the book, but I felt like the main twist was something I was able to see coming from pretty early on in the book. The book earns pretty high praise from me for two reasons though: First, for a book with such a heavy emphasis on mystery they do a very good job to provide the reader with the details needed to really think about the mystery on your own and try to figure out what's going on. I have a serious pet peeve about mystery plots where the end is only a surprise because some unrelated last clue nobody knew about finally spelled out who the villain was, and have a good respect for stories that can maintain suspense while providing the reader with the same information they will later call upon. The second thing I like about this movie, was that while I feel I did see the main part of the 'twist' coming... I was far from certain that was what was going on (thus was still in suspense), and while I guessed the basics of the twist, there was still much that I had not guessed. As a bonus, when looking back even the stuff I hadn't anticipated was still foreshadowed, which I consider a solid sign of good writing. The characters in this book are handled pretty well, but strike me as being rather secondary to the plot. Everyone involved has their own distinct personality, and the book makes a point to allow you to get a feel for each character's quirks and personality ticks, but there's not a whole lot of character growth going on. This brings me to what you might call Nitpicking. I should point out I don't usually bother Nitpicking books I don't like, and really this just means I've spent a lot of time thinking about the book, but still. I enjoy a good bit of science fiction, and while this book has a modern setting, they do play up some pseudoscience in the book pretty heavily. Pseudoscience is fine in a book like this, obviously I don't expect Peter Clines to actually understand physics better than Stephen Hawking when describing technology that does not exist in our world, but I did feel a few times throughout the book that some of the descriptions we were given weren't quite consistent. The book makes a point of not making the science in the story the critical point, which I appreciated (technojargon is another pet peeve), but I do wish I understood the basic rules of the book's science a bit better. Overall, I really enjoyed reading this book, thinking about it between reading, and continued to enjoy thinking about everything in it for a while after having read it. ​Everyone thinks I’m a genius. ​I really enjoyed this whole series a whole lot. I just want to start with that before getting into the nitty-gritty of the review. Anyway, The Thought Readers by Dima Zales is the first book in the Mind Dimension series. This is one of a style of books I've taken to calling "Powers Books", centering around a main character in modern day who finds out they have powers of some kind. From my limited experience of this sub-genre, this particular book and series don't stand out a whole lot. The powers the characters have aren't particularly unusual compared to what you might expect, the plots are pretty predictable, and most of the 'twists' can be seen coming from a few chapters ahead if you're paying attention. The characters are perfectly serviceable and likeable, but don't really make the book stand out among other decent authors though. So why did I enjoy this book, or actually this whole series so freakin much? Why did I bother to go through all four books over the course of a couple weeks? It's a little hard to explain, so bear with me. One of the things I enjoy about reading this style of story is getting to ask questions like "What would I have done?". See, in Sci Fi and Fantasy settings, it's sometimes hard to put yourself in the character's shoes... But in a modern setting, where they see and deal with so many of the same things you see on a daily basis, it's much easier, and makes you ask "What if I had been in their shoes?" "What would I have done?" "What would I do?". However, there's a flip side as well. The more you can see yourself in the main characters shoes, the more you wind up shouting at the book saying "No you idiot, you have POWERS, you can solve this problem in TWO SECONDS FLAT if you just thought about it for a second! GAH!" And those two situations are where this book really shined for me. It's still not perfect mind you, but I don't think I've ever read a book, or watched a movie that had some character with special powers, where they really seemed to act like a person would act when they had those powers. It may sound weird, but I've never been so excited to see a main character exhibit selfish jerk-like qualities, because when reading the book I have to think "Yeah, most people would probably just instinctively do that if they knew they could get away with it". It's also refreshing to see the main characters get into a tight spot, and be thinking "Do *THIS* with your powers!" and have the character either have the exact same thought, or an even better one. On top of all that, Dima Zales goes into surprising detail with exactly how the powers in these books work, as the main character is told, and as he asks questions, and most enjoyably, as he keeps testing crazy ideas to see if maybe they might work. I read these books at a pretty quick pace, which worked out very nicely for me as most of my questions about how something worked, and "Hang on, could someone do *this* or *that*?" were answered around the time I was thinking about it (and often answered with the response "Absolutely! I thought you figured that out already. Hang on, that's not all!"). In the end, you end up with a story about a character with what appears on the surface to be a relatively simple power, but it's extremely satisfying to see a book where the characters in the book really seem to think about all the ways a seemingly simple power, can be exploited to the hilt. I had a lot of fun with these books, and would reccommend them to anyone who has shouted "USE YOUR FREAKIN SUPERPOWERS" at their book, or TV screen in the past. It does get a bit bogged down with the mechanics of the world, so if you don't enjoy that kind of thing, it might not be for you, but I sure enjoyed it. I can't really give this book above 4 stars for the issues I mentioned above, but I'm glad to have found these books. ​After reading enough books, I've given up on silly concepts like having a "Favorite" book. I have lots of favorites, for lots of reasons. If you put a gun to my head though, I would probably say that my favorite book of all time is Dune. Seriously, I really love this book. I should lead into this with a warning about the book, it seems to be a bit hit-or-miss with it's readers. Half the people that read it will just find it boring, but the other half tend to absolutely love it. It's hard to fault either viewpoint, it really just depends on what kind of books you enjoy. Dune is a science fiction book set over 20,000 years in the future, so a lot of things have changed. One of the things I love so much about Dune are the Sci-Fi aspects to the book. One of the things that gives Dune it's very unique feel comes from future-humanity's distrust of "Thinking machines", which leads to them having what is still a high-tech world, but with a decidedly different feel to it than our heavily computerized world. They spend some time explaining how the human race adapted to a better way of life than relying on those "Thinking Machines" of the past. This leads to the setting being an engaging mix of Sci-Fi and Fantasy, into what I usually just refer to as "Science Fantasy", borrowing elements of both, but staying closer to Sci-Fi. There's a lot of world building going on, and that's the part I think some people find a bit dull, but personally I eat that stuff up when it's done well, and Frank Herbert really did a good job making the universe of Dune feel real to me. The story follows the life of Paul Atreides as he lives through a power struggle between the house of his father the Duke Leto Atreides, and their largest direct rival, the house of Baron Vladimir Harkonnen. The Harkonnens are especially intriguing, as Frank Herbert is able to write them as being both despicable, and very intelligent. In the end it's hard to pin a simple story archetype on Dune, as so many could be said to apply. Personally, after my first read through, I've tended to think of this book as more of a tragedy, when you really see the toll the story has taken on the once young Paul Atreides, despite having cheered while he was still walking down the path. In the end, I think Dune stands high among the very best that Science Fiction has ever had to offer. I've read it three times so far, and look forward to reading it again. ​The Dune Audiobook, narrarated by Scott Brick, Orlagh Cassidy, Euan Morton, Simon Vance, and Ilyana Kadushin was very well performed. Really, the only critique I have about the production value of the audiobook, is that they occasionally switch between the primary narrarator doing all the voices, to having a few specific voice actors doing some of the parts. In both cases they were done well, but it can be a bit jarring going between the two, also I didn't like Paul's voice actor as much as the rest. All in all though, it was a very enjoyable listen that added to my enjoyment of one of my favorite books. 4.5 Stars! So the things I say are awesome.